Burnout! 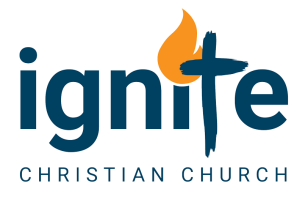 A Survival Guide - Ignite Christian Church Learn to Avoid and Survive Here is the subject for today… This will be one of the hardest message I have ever shared… I might as well be preaching into a mirror. As you might know, I work in a full time secular job, and also minister here at Ignite. Those who know me know I am very busy, get very tired and have been sick because my body is starting to collapse, so having been close to burn out myself, and been through it with my wife Fiona, I want to share what could be a pivotal message for many of us here. First, you must understand that work, especially serving the Lord, is good. God ordains work , and there is a tremendous satisfaction that comes from work… Paul writes, Colossians 1:29 (ESV Strong's) For this I toil, struggling with all his energy that he powerfully works within me. However, what God is showing me is that there must be a balance, and that nobly falling on your sword in the name of labour and serving is not God’s will for your life at all. I’m not trying to make those who are serving quit, but I want to make sure we are able to serve the Lord and are change the world long into the future. I want us to grow old in church together, serving with joy, but to do that, we need to make some wise and balanced decisions… Isaiah 40:28-31 (ESV Strong's) Have you not known? Have you not heard? The Lord is the everlasting God, the Creator of the ends of the earth. He does not faint or grow weary; his understanding is unsearchable. He gives power to the faint, and to him who has no might he increases strength. Even youths shall faint and be weary, and young men shall fall exhausted; but they who wait for the Lord shall renew their strength; they shall mount up with wings like eagles; they shall run and not be weary; they shall walk and not faint. I’ve always been a happily busy person, but with all that is happening now at this time of year, God has spoken to me about something many of us face right now… burnout! I am preaching this message to myself as much as any of you, but in the middle of one of the busiest years I can remember, I think we all need to stop and think about what we are doing. The very expression seems to make us sigh, doesn’t it? In this fast-paced, overworked world, most of us have felt the tiring numbness of burnout. How should a believer in Christ respond to these feelings? According to Psychology Today, Burnout is a state of chronic stress that leads to: physical and emotional exhaustion, cynicism and detachment, feelings of ineffectiveness and lack of accomplishment. It never happens suddenly, but creeps up over prolonged time in chronic stress. For me, burnout leads to feelings of being overwhelmed by everything, and then my body collapses and I get tied, then sick. In typical fashion, I soldier on as do many of us driven high achievers, but the fact is valiant effort and determination might see you through a current crisis, but such efforts will kill you over the long term. Burnout is the constant companion of high achievers. I love being busy and achieving goals, but I am asking the Lord for a way to do this without going through burnout. And here’s the thing… usually the length of time it takes you to slide into burnout is the same length of time it takes to recover. Most of us are not lazy… we want to work, and feel satisfaction when we work hard. We want to achieve goals, and be productive members of society. We want to bless our families, partners, friends and church. We want to serve God and make a lasting impact for the Lord on those around us. None of this is bad, it is all good, and God inspired. However, it comes down to balance. As the pace picks up, as we get tired and we press on, over time we begin to grind down, and if this is left unchecked, we will slowly slide into burnout as feelings of overwhelm and helplessness grow and eventually swamp us. So what things contribute to this process? Matthew 6:19-21 (ESV Strong's) “Do not lay up for yourselves treasures on earth, where moth and rust destroy and where thieves break in and steal, but lay up for yourselves treasures in heaven, where neither moth nor rust destroys and where thieves do not break in and steal. For where your treasure is, there your heart will be also. What is your treasure? I mean, what is really important to you? What do you strive for, live for, long for? If you long for something with all your heart and go for it, then this drive can start the burnout process. This especially becomes dangerous when we focus so exclusively on our goal that we neglect other things, often more important things like relationships and the Lord. Jesus urges us to treasure what is really important in eternity, not just here on earth. Money, cars, prestige, fame, comfort, even a sense of satisfaction, they all will pass away. No one complains on their death bed that they should have spent more time at work! We need to treasure only that which is eternal… God, His Word and relationships, the souls of men and women. How apt are Christ’s words… Matthew 16:26 (ESV Strong's) For what will it profit a man if he gains the whole world and forfeits his soul? Or what shall a man give in return for his soul? Burnout is heightened of course by certain personalities. Alpha males like me, choleric, driven, focussed, task orientated, high achieving people are classics for burnout. Laid back, cruisy, phlegmatic people almost always never suffer burnout. Psalms 139:16 (ESV Strong's) Your eyes saw my unformed substance; in your book were written, every one of them, the days that were formed for me, when as yet there was none of them. If you are that sort of person, and most of my team here at Ignite are, then that’s brilliant! Driven, dedicated people are the people that change the world, achieve great things and bless the Church. It is not a question of changing who you are to avoid burnout, but of balancing your drive and energy with the right kind of diffuser. Driven people exist in a self made pressure cooker, and need a release valve or two! If you have a treasure, a goal, even a good one, and if you have the personality to push on and achieve it, what’s the next step towards burnout? Goal setting necessarily involve time frames, which make us achieve results in a given time. If you do not set a time frame, you generally achieve very little. But if you do set a time frame, you place pressure on yourself. I call this the tyranny of urgency. In work, in ministry, in life, everyone wants everything done right now every time. We live for instant gratification today, from instant noodles, to instant purchases on the Internet. Ecclesiastes 3:1 (ESV Strong's) For everything there is a season, and a time for every matter under heaven: We’ve made time our enemy instead of our friend, because we make our deadlines dead weights upon our lives. What’s more, we are so afflicted by what is urgent, we tend to do this before we do what’s important! Somehow we need to balance up urgency with importance, so that everything is done in its own time, not just the seemingly urgent things. Matthew 16:2-3 (ESV Strong's) He answered them, “When it is evening, you say, ‘It will be fair weather, for the sky is red.’ And in the morning, ‘It will be stormy today, for the sky is red and threatening.’ You know how to interpret the appearance of the sky, but you cannot interpret the signs of the times. Avoiding burnout is partially about reading the signs, in your life and in the lives of others. I know for myself, when I am constantly exhausted, unable to do the things I long to do, when I am snappy or irritable, and when I get constantly sick with flu, etc. I know I am approaching burnout. I also have a gift I received one time in Africa, the gift that keeps on giving, and when I get run down, m friend Malaria pays me a visit. We can read the signs in realestate, financial markets, weather and politics, but we need to read the signs about burnout and take action to limit them sooner. You may think surrender means to throw up your hands and cry, “I give up!” But that is not what we must do. Rather, we should surrender everything we have to the Lord. All of our desires, all our hopes, all our dreams, everything. His hands are large enough to hold anything we need Him to handle, and you can trust Him. Proverbs 16:3 (ESV Strong's) Commit your work to the Lord, and your plans will be established. The first step to overcoming burnout is to surrendering to the Lord… stop constantly trying to solve it yourself! Give everything, every bit, every dream. Give it all to Him, surrender to Him and give Him control of your life, and your future! Matthew 11:28-30 (ESV Strong's) Come to me, all who labor and are heavy laden, and I will give you rest. Take my yoke upon you, and learn from me, for I am gentle and lowly in heart, and you will find rest for your souls. For my yoke is easy, and my burden is light.” Burnout is burden, it’s carrying burdens that you cannot bear forever. If you are experiencing overwhelm, if you are feeling burnt out, then the Lord is saying to you now, “Hand over the burden.” Some of you here are heavy laden. Some of you here are struggling, overwhelmed, bent in two. When you carry the load yourself you will find that you move towards burnout. Handing the burden to the Lord is a constant but necessary battle. A yoke is how oxen are hitched to drag a great load. If an ox has an ill fitting yoke, he cannot drag a great load, because it pinches and rubs and hurts. Jesus says hand over your burden, but He does not promise a burden free life. What He does promise is a burden that fits, one that doesn’t rub and hurt and one that enables you to move great loads with effort but without pain. One great way of defusing burnout is to compartmentalise, or treat various aspects of your life as completely separated. In life things tend to affect other things, and so burnout can be hastened when this cross pollination occurs. For example, a conflict at Work plays on your mind and affects your ministry and home life. Matthew 6:34 (ESV Strong's) “Therefore do not be anxious about tomorrow, for tomorrow will be anxious for itself. Sufficient for the day is its own trouble. Jesus tells us that each day has enough trouble, so we should not be piling these troubles up layer upon layer until we collapse. Managing your time properly is essential. We can waste so much time Worrying about things we are powerless to change, and like a rocking horse, worry keeps your mind occupied but you don’t go anywhere! Part of the training executives are given to combat burnout is compartmentalising, so that when they come home they leave the day’s crises at work. Ideally, your home life and your quiet time should be unaffected by your work or ministry. Easy to say, but hard to do! Ecclesiastes 3:1-3 (ESV Strong's) For everything there is a season, and a time for every matter under heaven: a time to be born, and a time to die; a time to plant, and a time to pluck up what is planted; a time to kill, and a time to heal; a time to break down, and a time to build up; In every life, work, ministry, there are times and seasons. They’re not bad or good necessarily. They are just times when things have to get done. As you serve, there are seasons to press in, go hard and serve selflessly. But you must balance these times with other seasons, seasons of rest, seasons of relaxation, seasons of trust and time with Jesus. Part of recognising the seasons is to not feel guilty when you are in a season of rest. High achievers have trouble resting, and if they do they feel guilty that they are not working! Fiona and I have saved hard and bought a caravan, for the express purpose of making me take time off. And I struggle to do this, part of which is I feel guilty that I am not working! Even Jesus suggested breaks… Mark 6:31 (ESV Strong's) And he said to them, “Come away by yourselves to a desolate place and rest a while.” For many were coming and going, and they had no leisure even to eat. The pressure of ministry, the pressure of life, all of these mount up over time and we need, in fact even Jesus needed, rest… come ye apart, or come ye apart, if you don’t you will! Jesus took time to be alone, away from the crowds and the demands of ministry. Robert Murray McCheyne was a great Scottish preacher and pastor in the 1840s, and he selflessly serve the Lord, but died at the age of only 29. On his deathbed he said, “The Lord gave me a horse to ride and a message to deliver. Alas, I have killed the horse and cannot deliver the message.” So take wise breaks, and stop yourself feeling guilty about them, because without them you will kill the horse, and ultimately fail in your mission in life. In times of business and burnout, friends can be a great encouragement. Each of our leaders at Ignite I consider to be a friend, and sometimes just hanging out with friends can revive your spirit and give you strength and courage for the future. Proverbs 17:17 (ESV Strong's) A friend loves at all times, and a brother is born for adversity. I cannot tell you how often just hanging out with good friends warms the spirit when it is flagging and struggling. That’s why we have church… because we are better together, one body, one family! True friends are there to support you when you need them, so find a few and open up to them. Friends, make sure you program time to laugh and love friends. Go to a movie, watch a footy match, have lunch, dinner, or coffee. You need to take time to ask the Lord what you should do, or not do. Jesus Himself said this… John 5:19 (ESV Strong's) So Jesus said to them, “Truly, truly, I say to you, the Son can do nothing of his own accord, but only what he sees the Father doing. For whatever the Father does, that the Son does likewise. 8. BE SELECTIVE… THE POWER OF NO! Every time you say yes to something you are saying no to something else, so be brave enough to say no to things that might seem urgent but ultimately have no real value. Jesus said, Matthew 5:37 (ESV Strong's) Let what you say be simply ‘Yes’ or ‘No’; anything more than this comes from evil. So think long and hard before you say yes or no. Discuss it with friends, gain loads of advice because Proverbs 15:22 (ESV Strong's) Without counsel plans fail, but with many advisers they succeed. We all have them, and these days they control our lives. Turn the darn thing off. You might think you cannot last a minute or an hour without checking emails, messages, instant messages or Facebook, but people survived quite well for Millenia without these modern conveniences. Ephesians 5:15-16 (ESV Strong's) Look carefully then how you walk, not as unwise but as wise, making the best use of the time, because the days are evil. Is checking your email or messages constantly the best use of time? Stop doing it, and seek God not man! Take time off, and turn off. If you feel yourself sliding towards burnout, the number one thing to do is stop, reevaluate your life and the direction it is going, read the signs and start making wise changes to help you survive without burning out. This slogan is used about traveling long distances on the road, and it is true about traveling long distances in your life and ministry. The Christian life is not a sprint, it’s a marathon, so pace yourself wisely. 2 Corinthians 12:9 (ESV Strong's) But he said to me, “My grace is sufficient for you, for my power is made perfect in weakness.” Therefore I will boast all the more gladly of my weaknesses, so that the power of Christ may rest upon me. Some of us here are feeling it right now, mid year, overworked, stressed and approaching burnout. Right now I confess that I am weak, tired and often sick. Yet I know in the midst of all this, He is strong in me when I am weak. This morning I sense that many of us need to be refreshed. It might be that work pressures are too great. Maybe home life is overwhelming, kids and partners and bills and pressures. Maybe even Church, as good and as valuable as serving the Lord might be, maybe you are still feeling burnt out. I put on my leadership hat and say, come on everybody, let’s serve and trust and do great things for God. But I change to my pastor’s hat, and I cannot let you destroy yourself burning out serving in this place. I want to Ignite you and have you burn bright for Jesus, but not have you burn out to ashes, Acts 3:19-20 (ESV Strong's) Repent therefore, and turn back, that your sins may be blotted out, that times of refreshing may come from the presence of the Lord, It’s time for us to be refreshed, it’s time for us to apply all the principles I have just shared with you. It’s time for us to balance our lives and our schedules, and most of all it’s time to wait upon the Lord. Isaiah 40:29-31 (ESV Strong's) He gives power to the faint, and to him who has no might he increases strength. Even youths shall faint and be weary, and young men shall fall exhausted; but they who wait for the Lord shall renew their strength; they shall mount up with wings like eagles; they shall run and not be weary; they shall walk and not faint. If you are feeling tired, overwhelmed or burnt out today, I am going to ask you to stand and pray with me. Isaiah 55:1 (ESV Strong's) “Come, everyone who thirsts, come to the waters; and he who has no money, come, buy and eat! Come, buy wine and milk without money and without price. This will be one of the hardest message I have ever shared… I might as well be preaching into a mirror. As you might know, I work in a full time secular job, and also minister here at Ignite. Those who know me know I am very busy, get very tired and have been sick because my body is starting to collapse, so having been close to burn out myself, and been through it with my wife Fiona, I want to share what could be a pivotal message for many of us here. However, what God is showing me is that there must be a balance, and that nobly falling on your sword in the name of labour and serving is not God’s will for your life at all. I’ve always been a happily busy person, but with all that is happening now at this time of year, God has spoken to me about something many of us face right now… burnout! I am preaching this message to myself as much as any of you, but in the middle of one of the busiest years I can remember, I think we all need to stop and think about what we are doing. In 1965, a U.S. Senate subcommittee predicted that as a result of increasing labor productivity from automation and the computer revolution -- Americans would be working only about 20 hours a week by the year 2000, while taking seven weeks or more of vacation a year. What went wrong? They did not predict our insatiable desire for more stuff! Now we work longer and harder than ever, under more stress and pressure. We have actually increased our workload and our stress load, because we want more and more, and we forsake those we love and things that are important to us to achieve what ultimately amounts to very little. In 2014 Japan passed a law to limit karoshi, which is death by overwork, usually from stroke, heart attacks or suicide. They warn one in 5 Japanese workers are at risk of karoshi. The very expression seems to make us sigh, doesn’t it? In this fast-paced, overworked world, most of us have felt the tiring numbness of burnout. How should a believer in Christ respond to these feelings? According to Psychology Today, Burnout is a state of chronic stress that leads to: physical and emotional exhaustion, cynicism and detachment, feelings of ineffectiveness and lack of accomplishment. It never happens suddenly, but creeps up over prolonged time in chronic stress. For me, burnout leads to feelings of being overwhelmed by everything, and then my body collapses and I get tied, then sick. In typical fashion, I soldier on as do many of us driven high achievers, but the fact is valiant effort and determination might see you through a current crisis, but such efforts will kill you over the long term. Burnout is the constant companion of high achievers. I love being busy and achieving goals, but I am asking the Lord for a way to do this without going through burnout. And here’s the thing… usually the length of time it takes you to slide into burnout is the same length of time it takes to recover. Most of us are not lazy… we want to work, and feel satisfaction when we work hard. We want to achieve goals, and be productive members of society. We want to bless our families, partners, friends and church. We want to serve God and make a lasting impact for the Lord on those around us. None of this is bad, it is all good, and God inspired. However, it comes down to balance. As the pace picks up, as we get tired and we press on, over time we begin to grind down, and if this is left unchecked, we will slowly slide into burnout as feelings of overwhelm and helplessness grow and eventually swamp us. So what things contribute to this process? What is your treasure? I mean, what is really important to you? What do you strive for, live for, long for? If you long for something with all your heart and go for it, then this drive can start the burnout process. This especially becomes dangerous when we focus so exclusively on our goal that we neglect other things, often more important things like relationships and the Lord. Jesus urges us to treasure what is really important in eternity, not just here on earth. Money, cars, prestige, fame, comfort, even a sense of satisfaction, they all will pass away. No one complains on their death bed that they should have spent more time at work! We need to treasure only that which is eternal… God, His Word and relationships, the souls of men and women. Burnout is heightened of course by certain personalities. Alpha males like me, choleric, driven, focussed, task orientated, high achieving people are classics for burnout. Laid back, cruisy, phlegmatic people almost always never suffer burnout. If you are that sort of person, and most of my team here at Ignite are, then that’s brilliant! Driven, dedicated people are the people that change the world, achieve great things and bless the Church. It is not a question of changing who you are to avoid burnout, but of balancing your drive and energy with the right kind of diffuser. Driven people exist in a self made pressure cooker, and need a release valve or two! If you have a treasure, a goal, even a good one, and if you have the personality to push on and achieve it, what’s the next step towards burnout? Goal setting necessarily involve time frames, which make us achieve results in a given time. If you do not set a time frame, you generally achieve very little. But if you do set a time frame, you place pressure on yourself. I call this the tyranny of urgency. In work, in ministry, in life, everyone wants everything done right now every time. We live for instant gratification today, from instant noodles, to instant purchases on the Internet. We’ve made time our enemy instead of our friend, because we make our deadlines dead weights upon our lives. What’s more, we are so afflicted by what is urgent, we tend to do this before we do what’s important! Somehow we need to balance up urgency with importance, so that everything is done in its own time, not just the seemingly urgent things. As a pastor I have many pressures on my life. I do also as a business professional, a father and an itinerant ministry. Prioritising what is really important is key, because if you constantly try to solve complaints, you drive yourself to burnout. The squeaky wheel gets the oil.. the more people complain, the more they get what they want… generally. It’s sad but true! Burnout is often hastened by people complaining, and they burrow into your brain like borers. You can have 10 great things said to you and one complaint, and who do you listen to? That’s right, the negative! As you approach burnout, the squeaky wheels can hasten the slide. One of the most common features of burnout is that you live from crisis to crisis. You find yourself not doing what you want, not doing what inspires you and not doing what you know is important, you just seem to muddle by putting out flames and playing catch-up. Some people live in a perpetual soap opera, drama after drama! These little foxes, these constant crises, often are the ones that ruin the vine. They demand attention, they demand it immediately, and in the end solving those problems does not lead to any gain at all. Part of burnout is constantly dealing with one little crisis after another, and it wears you down and sets you up for eventual collapse! Avoiding burnout is partially about reading the signs, in your life and in the lives of others. I know for myself, when I am constantly exhausted, unable to do the things I long to do, when I am snappy or irritable, and when I get constantly sick with flu, etc. I know I am approaching burnout. I also have a gift I received one time in Africa, the gift that keeps on giving, and when I get run down, m friend Malaria pays me a visit. We can read the signs in realestate, financial markets, weather and politics, but we need to read the signs about burnout and take action to limit them sooner. God loves it when you serve Him! When you say, “Lord, I’m available… here am I Lord, use me!” But while it is God’s will that you should be a servant, and while serving the Lord is a part of living the Christian life, it is not God’s will for you to burn yourself out serving. Selfless serving is a part of the lives of great Christian leaders. I try to serve you selflessly here at Ignite, as does our leadership. However, even selfless serving requires safeguards to be put in place, to protect you and preserve the longevity of what you are doing. You may think surrender means to throw up your hands and cry, “I give up!” But that is not what we must do. Rather, we should surrender everything we have to the Lord. All of our desires, all our hopes, all our dreams, everything. His hands are large enough to hold anything we need Him to handle, and you can trust Him. The first step to overcoming burnout is to surrendering to the Lord… stop constantly trying to solve it yourself! Give everything, every bit, every dream. Give it all to Him, surrender to Him and give Him control of your life, and your future! Some of you here are heavy laden. Some of you here are struggling, overwhelmed, bent in two. When you carry the load yourself you will find that you move towards burnout. Handing the burden to the Lord is a constant but necessary battle. A yoke is how oxen are hitched to drag a great load. If an ox has an ill fitting yoke, he cannot drag a great load, because it pinches and rubs and hurts. Jesus says hand over your burden, but He does not promise a burden free life. What He does promise is a burden that fits, one that doesn’t rub and hurt and one that enables you to move great loads with effort but without pain. One great way of defusing burnout is to compartmentalise, or treat various aspects of your life as completely separated. In life things tend to affect other things, and so burnout can be hastened when this cross pollination occurs. For example, a conflict at Work plays on your mind and affects your ministry and home life. Jesus tells us that each day has enough trouble, so we should not be piling these troubles up layer upon layer until we collapse. Managing your time properly is essential. We can waste so much time Worrying about things we are powerless to change, and like a rocking horse, worry keeps your mind occupied but you don’t go anywhere! Part of the training executives are given to combat burnout is compartmentalising, so that when they come home they leave the day’s crises at work. Ideally, your home life and your quiet time should be unaffected by your work or ministry. Easy to say, but hard to do! In every life, work, ministry, there are times and seasons. They’re not bad or good necessarily. They are just times when things have to get done. As you serve, there are seasons to press in, go hard and serve selflessly. But you must balance these times with other seasons, seasons of rest, seasons of relaxation, seasons of trust and time with Jesus. The pressure of ministry, the pressure of life, all of these mount up over time and we need, in fact even Jesus needed, rest… come ye apart, or come ye apart, if you don’t you will! Jesus took time to be alone, away from the crowds and the demands of ministry. So take wise breaks, and stop yourself feeling guilty about them, because without them you will kill the horse, and ultimately fail in your mission in life. In times of business and burnout, friends can be a great encouragement. Each of our leaders at Ignite I consider to be a friend, and sometimes just hanging out with friends can revive your spirit and give you strength and courage for the future. I cannot tell you how often just hanging out with good friends warms the spirit when it is flagging and struggling. That’s why we have church… because we are better together, one body, one family! True friends are there to support you when you need them, so find a few and open up to them. I mentioned before that we often get deflected from doing what is really important long term by the urgent, the complainers or the current crisis. So one key skill you can develop to combat burnout is to learn to prioritise properly. You can seemingly have everything, yet lose what is important in the long run. How many successful businessmen lose their families? How many successful ministries lose their relationships? So prioritising is essential to avoid the pressures that lead to burnout. And if I know that something is not really important in the long run, I can breathe easy and relax instead of stressing! Why not sit and write a list of what is really important in the long run, then decide what time resources you want to devote to each of those items. Don’t win the world and lose your soul! We all have them, and these days they control our lives. Turn the darn thing off. You might think you cannot last a minute or an hour without checking emails, messages, instant messages or Facebook, but people survived quite well for Millenia without these modern conveniences. Is checking your email or messages constantly the best use of time? Stop doing it, and seek God not man! Take time off, and turn off. If you feel yourself sliding towards burnout, the number one thing to do is stop, reevaluate your life and the direction it is going, read the signs and start making wise changes to help you survive without burning out. This slogan is used about traveling long distances on the road, and it is true about traveling long distances in your life and ministry. The Christian life is not a sprint, it’s a marathon, so pace yourself wisely. Some of us here are feeling it right now, mid year, overworked, stressed and approaching burnout. Right now I confess that I am weak, tired and often sick. Yet I know in the midst of all this, He is strong in me when I am weak. This morning I sense that many of us need to be refreshed. It might be that work pressures are too great. Maybe home life is overwhelming, kids and partners and bills and pressures. Maybe even Church, as good and as valuable as serving the Lord might be, maybe you are still feeling burnt out. It’s time for us to be refreshed, it’s time for us to apply all the principles I have just shared with you. It’s time for us to balance our lives and our schedules, and most of all it’s time to wait upon the Lord. If you are feeling tired, overwhelmed or burnt out today, I am going to ask you to stand and pray with me.